Suggested citation: Stone, D. F. 2018. Usnea in the Pacific Northwest, Aide Mémoire. Northwest Lichenologists, Corvallis, Oregon, U.S.A. Cost: $12 per copy + $3 for domestic shipping and handling for 1-10 copies. (For example, 3 copies wouldbe 3 * $12 + $3 = $39. One copy is $15 including shipping. Use button at right for domestic orders. For orders from outside of U.S., see bottom of page. Limited time special: Order one Usnea booklet plus one 2019 calendar for $27, a savings of 10%. Even better, order multiple booklets (X) and an equal number of calendars for X * $24 + $3. Canada: $12/copy for up to 10 copies, flat rate shipping $25. 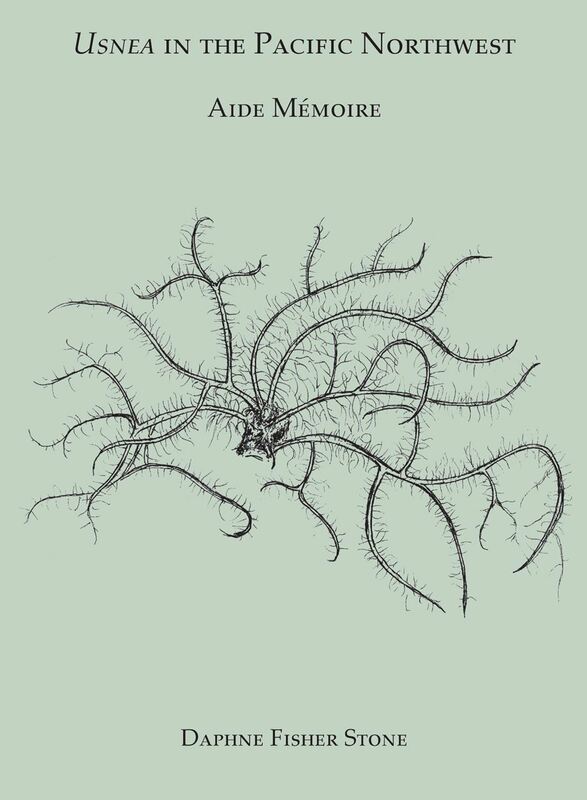 Or buy two monographs and we will include an Usnea booklet for free, no additional shipping. In that case, order on the Monographs pages, not here, and please include a comment (special instruction) requesting the Usnea booklet. Europe: $12/copy for up to 10 copies, flat rate shipping $35. Or buy two monographs and we will include an Usnea booklet for free, no additional shipping. In that case, order on the Monographs pages, not here, and please include a comment (special instruction) requesting the Usnea booklet.